Comment: I have two wicker patio pool loungers. I love the mechanism that allows the recliner to go flat with adjusting by merely leaning back. Canât find any like it. The wicker needs replacing. Comment: Redo supports straps under seats of recliner seats of leather couch. possible foam replacement in cushion - small sewing. Comment: I have a shadow box that i have removed the mirror in the back and sanded it. I would like it painted white to use in a bedroom. Comment: replace foam rubber in cushions. Ihave the foam rubber. The cuchions don't come off of the couch but they have zippers in them for replacement . Tinley Park Furniture Repair Services are rated 4.84 out of 5 based on 147 reviews of 9 pros. 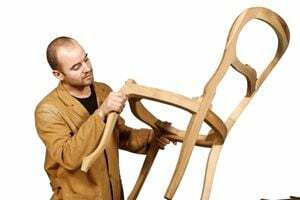 Not Looking for Furniture Repair & Refinish Contractors in Tinley Park, IL?